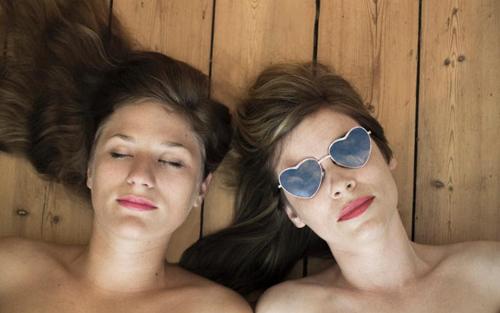 Teenage Love are an international duo that met in New York (Katy Gunn's home city) where they became friends and later recorded their debut EP in Copenhagen (Anna Lidell's home city). The duo write and produce their genre blending-pop music, which has resulted in a sound that's uniquely their own. New track "I Think I'm Falling In Love (With You)" is a mix of classical orchestration, dubstep beat production and traditional pop. "I Think I'm Falling In Love (With You)" is taken from Teenage Love's debut Gold EP, which will be released early July. Check out previous "Lazer Eyes" too if you like this, it's a fun tUnE-yArDs-esque pop record much in the vain of this.